The one thing you don't want to do is to eat spoiled meat. Doing so can lead to food poisoning, with symptoms such as nausea, vomiting, headache, fever, abdominal cramping, and diarrhea. The way to avoid getting food poisoningis to make sure that the food you are cooking comes fresh from the store and has not stored at room temperature or higher. And you should know even refrigerated chicken can go bad within three days. This is why it is important to know the signs of bad chicken, so you know whether or not to discard the meat. The following tells you whether your chicken goes bad. 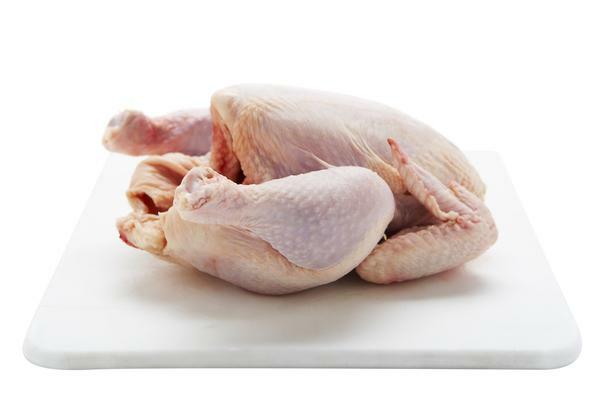 You need to know whether or not your chicken is bad whether or not it is raw or cooked. Check the package. Look at the "best by" date on the package before you buy it. If the date on the package is not anywhere near the date you are buying it on, it is probably safe to eat. The date the product expires is something required by law, so you can usually trust that. Observe the color. If the chicken is pink in color, it usually means it is safe to eat. Any meat that has a gray discoloration is probably not safe to eat and you should avoid purchasing or eating it. Smell the chicken. If the chicken is fresh, it shouldn't have any kind of odor noticeable. It will smell just like fresh chicken and won't be very strong. 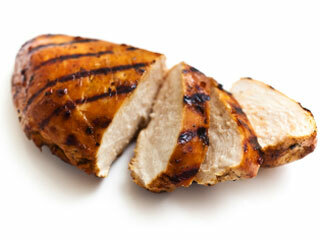 Rotten chicken has a distinct odor that, once you recognize it, it won't be easy to forget. Touch and feel the chicken. If you touch the chicken and it feels sticky or slimy, don't buy it or eat it. If the chicken has liquid coming off of it that looks like mucus, you should throw it away and take no chances. You should know that chicken in general has a short shelf life. Raw chicken is only good for about 1-3 days if left in the refrigerator. When you bring the chicken home from the store, put it in the refrigerator immediately and do the same after cooking it. Smell the chicken. Smelling the cooked chicken is basically the same as it is for smelling raw chicken. Be wary of spices that can hide the odor of bad chicken underneath. Bad cooked chicken can smell like rotten eggs. Don't eat chicken that smells like this. Check the chicken's color. Chicken usually cooks to a nice white color. If instead, it looks somewhat gray, avoid eating it. Take the breading or glaze off the chicken in order to see the real color underneath. Look for moldiness. If you see mold on your chicken, this is a sure sign that it is not safe to eat. Mold looks like a black or green fuzz and means the chicken is far past eating. Taste before swallowing. If you think the chicken might be still good but aren't completely sure, try a taste. If it doesn't taste good on the first bite, spit it out and throw the rest of the chicken away. You can expect cooked chicken to remain good for about three days in the refrigerator. You can freeze it instead, at which time it can keep indefinitely but it doesn't really taste the same if you thaw it out and try to eat it after about six months or so. Then how to tell if chicken is bad after frozen? In case you have frozen the chicken, remove your frozen chicken from refrigerator and take off the wrappings. Smell it first, checking for any unpleasant odors you might detect. If it doesn't smell right, it is spoiled, even though it has been frozen. If you still think it might be good, thaw it out for a couple of hours and check it for sliminess or stickiness. If the chicken feels tacky or sticky or has slime on it, throw it out and don't eat it. Look, too, for alterations in color. Frozen chicken that has darkened or has faded is likely not good and should be thrown out.